The company, which is headquartered in Aliso Viejo, Calif. relies heavily on focus groups and market research to understand buyer preferences specific to each new community. A veteran of nearly four decades in real estate, Webb’s competitive drive was first evident in his passion for sports. He grew up in Buffalo, played soccer at the State University of New York at Cortland, and coached the Monument Mountain high school soccer team to the Massachusetts state title in 1974. But a burning interest in urban issues compelled Webb to leave teaching to study city and regional planning at Harvard’s Graduate School of Design. After earning a master’s degree, he became a consultant at market research firms in Washington, D.C., and Denver. One of his clients hired him to help plan and design the first phase of Highlands Ranch, a 22,000-acre master-planned community in Denver. Webb relocated to Los Angeles in 1987 to sign on as Division President at Kaufman & Broad (now KB Home). A few years later, he became President of Greystone Homes in Orange County. Nineteen-ninety-five saw Webb joining U.K.-based John Laing Homes as CEO of U.S. operations. Over the next six years, he grew the business to eight divisions in seven states and completed a leveraged buyout of the unit. Laing was acquired in 2006 by giant Middle East developer Emaar Properties for $1.05 billion—at the time, the largest private residential transaction in U.S. history. Webb left Laing in 2008, just as the market was plummeting. A year later, John Laing Homes filed for Chapter 11 bankruptcy protection; the company eventually liquidated its assets. Meridian is a collection of lock-and-leave coastal residences situated in Newport Beach, Calif. The 83 flats, townhomes, and penthouses feature floor plans ranging from 2,172 to 3,833 sf of living space with up to three bedrooms and 3½ baths. Photo: Eric Figge Photography. He assembled a management team of industry veterans: COO Tom Redwitz, who previously led the Laing Luxury Homes division; CFO Wayne Stelmar, Webb’s long-time colleague; and Chief Investment Officer Joe Davis, a former leader at the Irvine Company, a developer of coastal properties. Each invested $15 million in the new venture. Over the next 12 months, the fledgling company hired 30 people, established a fee-building relationship with the Irvine Company, and attracted three external investment groups. “It was a really opportune time because a lot of people were looking for work and land prices were depressed,” said Redwitz, a licensed architect who oversees the in-house design team and now serves as Chief Investment Officer. Meridian Living Space. Eric figge photography. The first group of employees agreed to work for free for the first couple of months while the company found its footing. New Home’s initial focus was on building luxury homes in prime coastal locations across Southern California. It gradually extended its reach to Sacramento and the Bay Area, while expanding its expertise from single-family homes to attached homes and condominiums. As the economy began to recover, the company’s senior managers recognized that continued geographic expansion would require quicker access to both debt and equity financing. On January 31, 2014, The New Home Company (NYSE: NWHM) debuted as a publicly traded company through an initial public offering that raised $86 million. 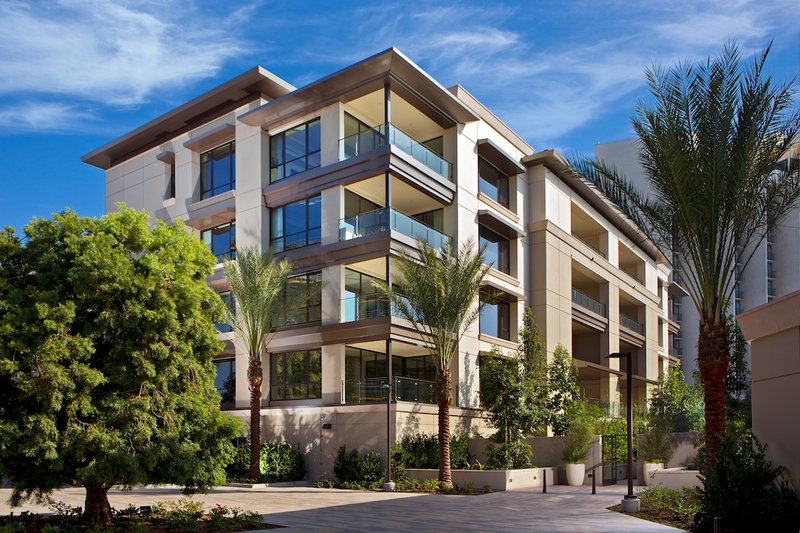 Multifamily housing makes up 40% of current New Home projects, from low-density attached homes to mid-rise townhomes built on podium parking, to its signature multifamily properties, such as the Meridian, a 79-home luxury mid-rise townhouse community adjacent to the Fashion Island open-air retail center in Newport Beach. New Home also specializes in master-planned communities, such as The Cannery, a farm-to-table community in Davis, Calif., that combines attached and detached residential options surrounded by parks and a working farm. The company, which is headquartered in Aliso Viejo, Calif. (with offices in Walnut Creek, Roseville, and Agoura Hills, Calif., and Scottsdale, Ariz.), relies heavily on focus groups and market research to understand buyer preferences specific to each new community. 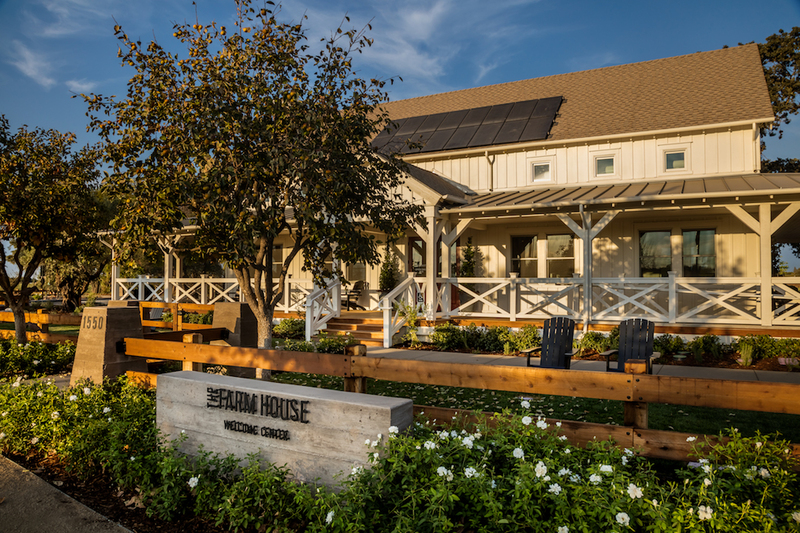 The 1,644-sf Farm House welcome center at The Cannery, The New Home Company’s farm-to-table planned community in Davis, Calif. A working farm on the property adds a unique element to the living environment, a mix of attached and detached residential options. Photo: Chris Mayer. This feedback often influences practical planning and design decisions at New Home—from the way bathrooms are configured to the availability of closet space. “We’re not a company that takes plan number 105 off the shelf,” said Redwitz. New Home is consistently recognized in the Homebuyers’ Choice Awards, presented annually by consumer research firm Eliant. In recent years, as prime coastal sites have become scarcer, New Home has broadened its portfolio to include more “attainably priced” housing. In 2016, its average sale price was $2 million; this year, it will be under $1 million. The shift in price points helped New Home shorten construction cycles, control costs, turn inventory faster, and increase residential deliveries by 36% in 2017 compared to 2016. Total revenues were up 8% year over year—$751.2 million in 2017, vs. $694.5 in 2016. But New Home’s average selling price has decreased by 19% due to the shift in the product mix. Creativity and attention to detail are New Home’s design signatures. 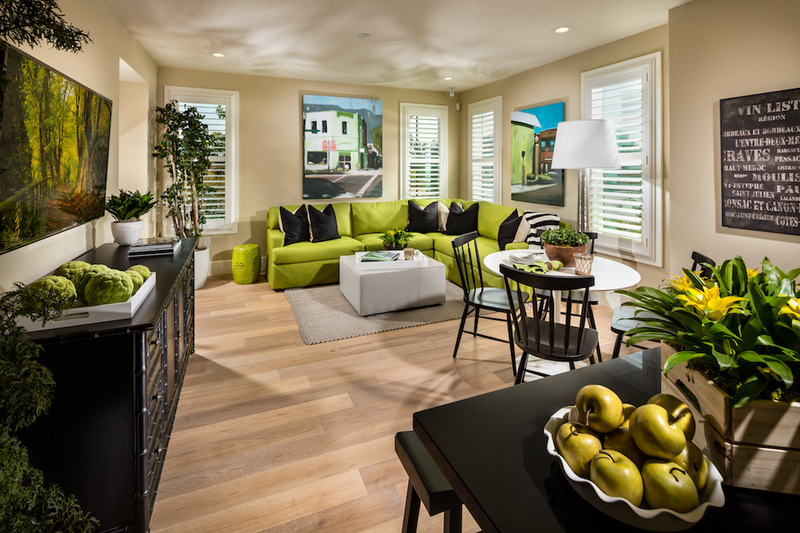 Its Cobalt at Esencia duplex community in Rancho Mission Viejo, Calif., earned Best Multi-Family Housing Community honors in this year’s Gold Nugget Awards. That emphasis on creativity carries over to the work environment the company has established for its 300-plus staff members. “I love seeing our people get promoted, take on more responsibility, and grow in our organization,” said Webb. New Home also focuses on building a culture that attracts top talent—from Millennials to industry veterans like Leonard Miller, who joined the firm in early 2017 as Chief Operating Officer following the retirement of co-founder Joe Davis. Its unique employee benefits include student loan repayment assistance and a condensed workweek that ends each Friday at 3 p.m.
New Home’s employees are active in the community, supporting organizations such as Second Harvest Food Bank of Orange County and HomeAid, which builds and renovates shelters for the transitionally homeless. The company sponsors and runs an annual golf tournament that raises $300,000 a year for Interval House, which operates a crisis center for victims of domestic violence.